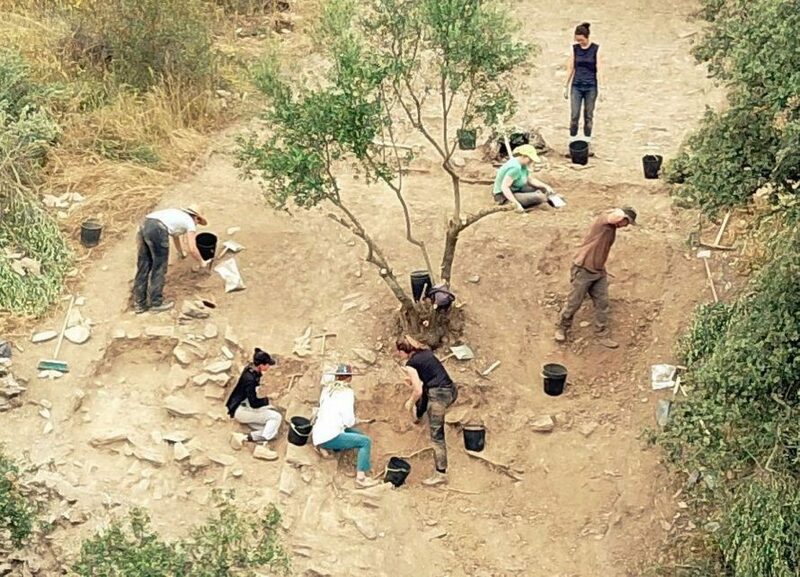 Only two weeks of digging in Castelo Velho de Safara, in Portugal's municipality of Moura, were required for the international team of South-West Archaeology Digs (SWAD), under the scientific direction of Portuguese archaeologists, to find remains from the period between the 4th and 1st centuries BC. "Castelo Velho de Safara is an Iron Age site located in the south of Portugal, at the confluence of the Ardila and Safareja rivers. Located at the top of a hill in a commanding position, it presents three defensive wall-towers and walls," explained the archaeologists at SWAD's website. The time period to which the material found in the archaeological site belongs was based on the collection of surface ceramics, which is evidence of belonging between the fourth and the first centuries before Christ. "This project began in November 2017 and we quickly received support from international universities such as University College London and University College Dublin," recalls the archaeologist who leads the team. "This project began in November 2017 and we quickly received support from international universities such as University College London and University College Dublin," says Mariana Nabais, the archaeologist who leads the team. The archaeological site of Castelo Velho de Safara was occupied mainly during the Iron Age, being one of the large fortified villages of the Alentejo period. However, there was one older Chalcolithic occupation of the site and another more recent one of Roman date. The discoveries show that the residential area was divided according to the social status of its inhabitants, and that they were already working with metal. "The site may have served as a commercial hub with important connections with the nearby copper and silver mines and with manufactured products from the Eastern Mediterranean, which arrived by boat", reveals the SWAD team. The site of Castelo Velho de Safara has been known since the 1970s , but it has not been excavated until now.